Flamingos along side the edge of a pond with chick - Stock Footage, Inc. Tags: animal, animals, aviary, beak, bird, bird life, birds, environment, exotic, feather, flamingo, flock, habitat, nature, pink, Tropical, wild, wildlife, zoo. Flamingos along side the edge of a pond with chick as they watch thier young. Ducks competing for food in a pond. 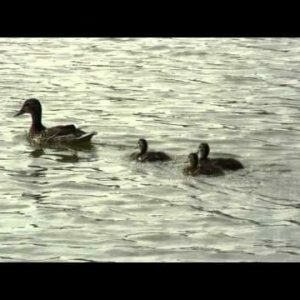 Close up of ducklings swimming behind their mother. 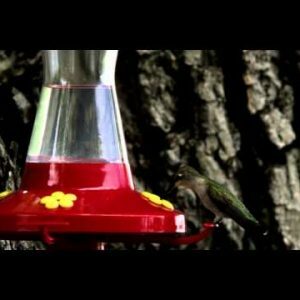 Hummingbird drinking from a bird feeder.